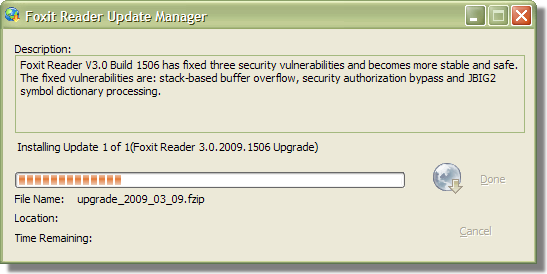 Update Foxit Reader if you have it already. Update Adobe Reader if you still have it. So, we're not recommending Foxit. We're not recommending Sumatra. Or PDF-Xchange, CoolPDF or eXPert PDF. Instead, we recommend users to find their own Adobe Reader replacement.